Ditching the 9 to 5 to travel the world yet never wanting for money - it's a common dream for lottery players, but you don't necessarily have to win the lottery to do so. If you regularly read travel blogs or money/finance-related blogs you may have already heard about "digital nomads", often accompanied by a long article about someone who has ditched their dayjob and set off to explore the world explaining how they made their travel dreams come true. Normally, to hammer home the point, there's also a picture of the author relaxing on a beach. The question is, how exactly do they make their money? Is it hoax? Is there more to the digital nomad lifestyle that meets the eye? Or is it a realistic way of earning a living? Firstly, what exactly is a digital nomad? Although the term is often loosely defined, a digital nomad is any individual who earns money, generally online, while moving from one location to location, essentially living the dream for anyone who loves travel. By setting up streams of income that can be generated online from remote locations, the digital nomad is therefore free to go wherever they want. Easier said than done; but luckily there are a number of genuine ways to generate income that neatly compliment the nomadic lifestyle. Blogging, particularly travel blogging, has given thousands of aspiring digital nomads the opportunity to live that dream. They've been lucky enough, and persistent enough, to receive a healthy income by documenting their adventures, and earning money through ad revenue generated by their websites. More entrepreneurial webmasters often seek to purchase other related sites, which they build up and then use for further ad revenue. Making money this way is described as a passive income, because it doesn't involve you actively doing anything to generate an income. Think of it like money earned from a rented property, or an investment. Or, as many bloggers like to put it, money you can earn while you sleep. There have been numerous stories of successful bloggers building up a highly lucrative network of websites, and generating enough income to live comfortably without lifting a finger! Although, spoiler alert, that's pretty rare and they're a lucky few. Many travel bloggers also write product reviews in return for money, and supplement their income with freelance writing gigs, and other roles such as tour guides, English teaching and those gap-year staples of bar work and fruit picking. For entrepreneurial-minded travellers, setting up a web-based company is a great way of freeing yourself from the 9-5, although if your company revolves around selling physical stock things might get tricky. Lugging around crates full of your handmade jewellery and clothing can hamper the nomadic dream. Choosing where to travel to, and where to live, is a huge question for all digital nomads. Many opt to spend the majority of time in Latin America, Eastern Europe or Asia, because the cost of living is so much cheaper. In some of these places you can live for under €500 a month, and live well. In Western Europe or North America that kind of money would probably cover your grocery bills and the cost of a tent. I have some bad news; there are millions of travel blogs out there and the market is very saturated. So you'll need to spend a lot of thankless hours chipping away to forge a niche in this market, and even then it's unlikely that you'll ever make big money out of it. Instead it's better to focus your writing skills on more lucrative stuff, like SEO, internet marketing and social media. If you're bilingual then translating copy is always a valuable skill. Lying on the beach, the sound of the waves lapping the shore - it sort of takes the edge off if you're trying to squint at an Excel sheet in 35 degree sunshine. For digital nomads it's a way of life, but one can also argue it's a half measure. You get the travel and the sun, but you can't ever switch off. Wouldn't it be better if you had a completely hands-free source of income that allows you to enjoy the good life without any tasks, deadlines and obligations? 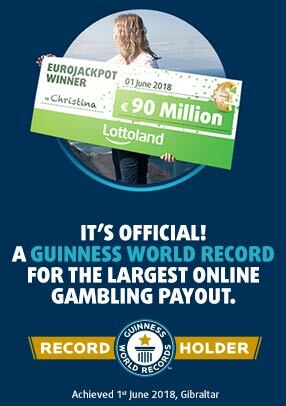 Well you can with Cash4Life, the lottery that pays you €1,000 every day for the rest of your life - only at Lottoland!